Click play to listen to our jingle! 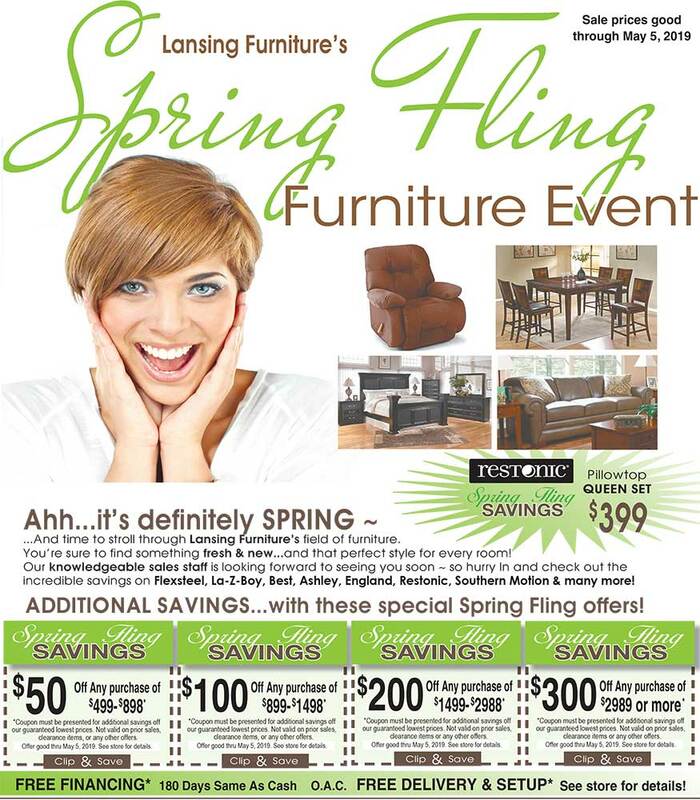 Ahh...it's definitely SPRING ~ ...And time to stroll through Lansing Furniture's field of furniture. You're sure to find something fresh & new... and that perfect style for every room! Our knowledgeable sales staff is looking forward to seeing you soon ~ so hurry In and check out the incredible savings on Flexsteel, La-Z-Boy, Best, Ashley, England, Restonic, Southern Motion & many more!